The proper application of Rigid-Flex circuit boards offers optimum solutions for difficult, limited space conditions. This technology offers the possibility of a secure connection of device components with the assurance of polarity and contact stability, as well as a reduction in plug and connector components. Additional advantages of Rigid-Flex circuit boards are dynamic and mechanical stability, the resulting 3-dimensional freedom of design, simplified installation, space savings, and maintenance of uniform electrical characteristics. 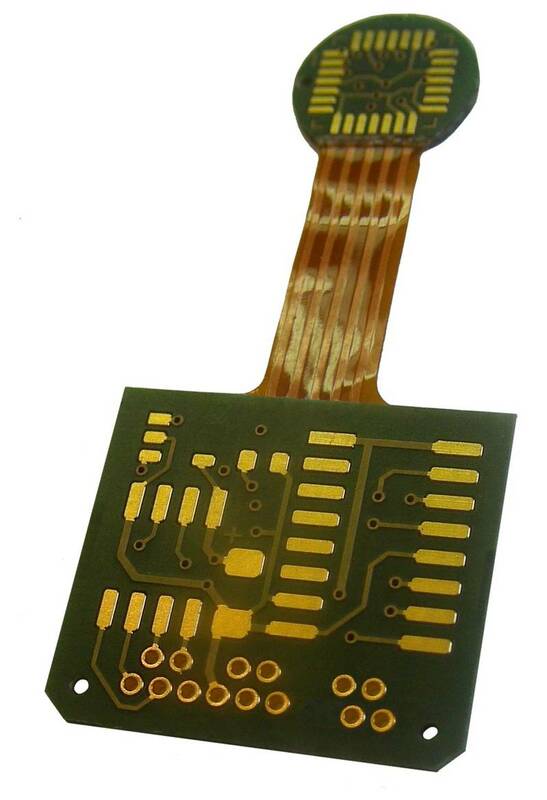 Use of Rigid-Flex circuit boards can reduce the total cost of the final product. A standardized manufacturing process following IPC guidelines guarantees a reliable and simultaneously an economical product, which is UL certified (UL94 / V-0); application of the UL logo is available at no extra cost. 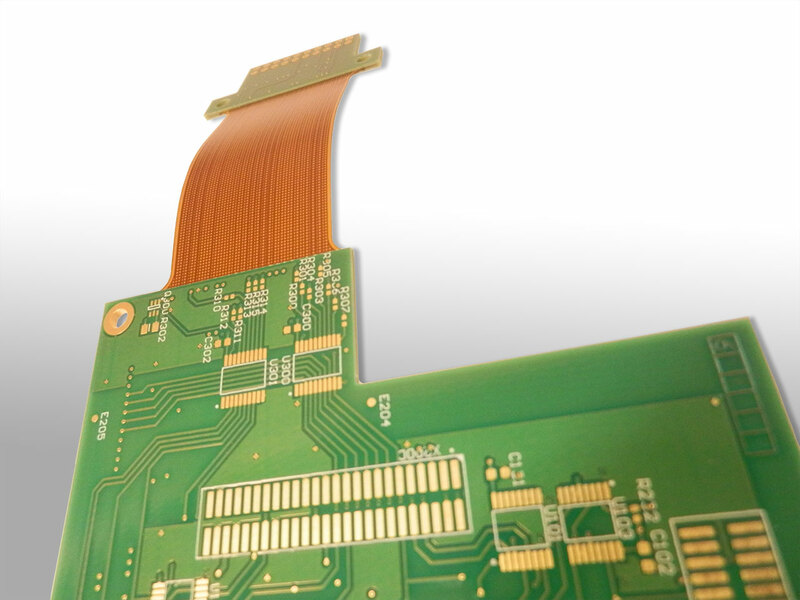 Depending on the application, the complete Rigid-Flex circuit board may be manufactured either symmetrically with inward flexible layers, or asymmetrically with outward flexible layers (see Layer buildup for Rigid-Flex circuit boards). We recommend the IPC-2223 Guidelines to circuit board designers for flexible circuit boards. This is available (at cost) from the website of the IPC (www.ipc.org), or in German from the FED website (Fachverband Elektronik-Design e.V., a German trade association for electronic design), and can be found there under "Normen/Dokumente - FED-Shop". 2 to 24 layers, incl. "flying tails"
At Multi-CB, you also get Rigid-Flex circuit boards with UL certification. Multi-CB’s UL identification number for flex and Rigid-Flex circuit boards is: E489719.